Georgia Moon “Gigi ” to her many friends and family. Has been a licensed massage therapist for over 30 years. In 1985 at age 20 she started her studies into the mind, body, and spirt with massage and reflexology training. Her career has expanded to providing skin care for her customers, she has been a licensed esthetician for 6 years. 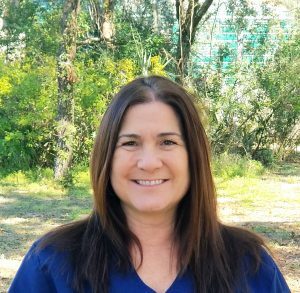 Gigi has worked in many settings and offers many different modalities of healing, from a relaxing quite massage to sports massage and reflexology. She really enjoys teaching people how to restore themselves. To further her ability to affect her clients in positive ways she is currently In Yoga teacher training, this will allow her to teach her clients to unwind and relax their bodies and minds. Our goal at MASSAGEbyMOON is help out customers learn to live a healthy chemical free life though educating them about options such as essential oil products for their home and family. And to handle the stress of our hectic busy life’s through massage treatments and meditation. We sincerely hope to impact our customers life’s in a positive way.